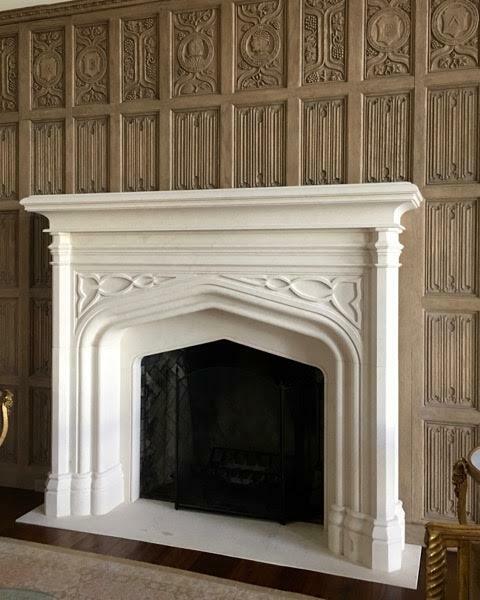 The Dugally Mantel is one of the most elaborate limestone fireplaces, and is constructed of exotic Beaumaniere limestone, quarried from the beautiful central region of France. 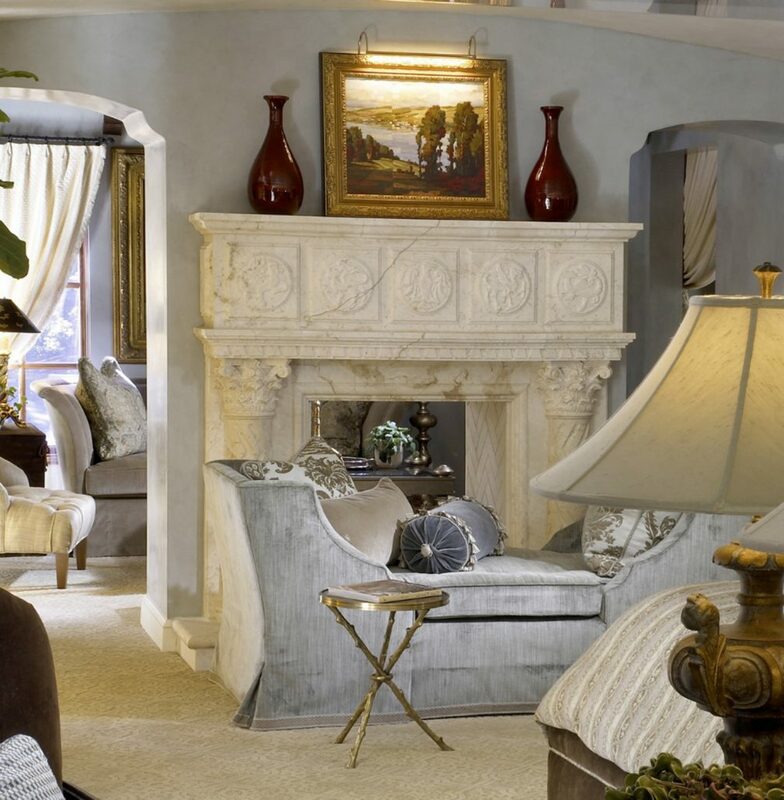 This design style is of the Tuscan influence; the fireplace in the photo is located in Newport Coast, CA. 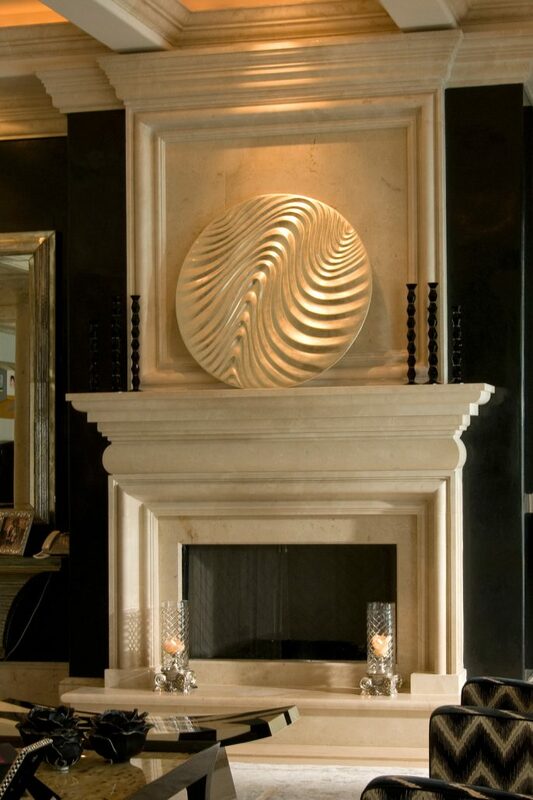 The Jeffrey Fireplace Mantel with Trumeau is a stunning example of custom stone fireplaces and is made of beautiful Crema Marfil marble. This type of stone originates from Spain and is a fine representation of Tuscan design. The current location of the fireplace pictured is Bal Harbour, Florida. 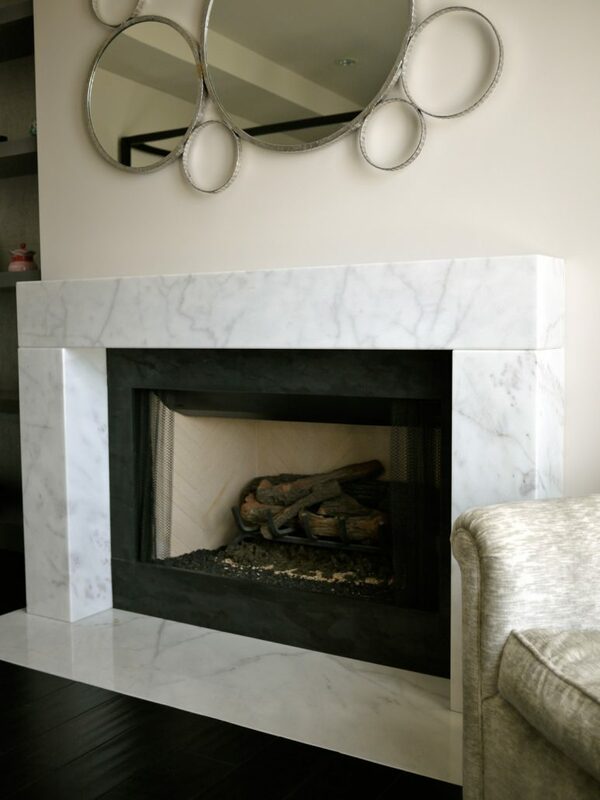 The Kenco fireplace mantel is made of Statuary marble, which originates from the lovely area of Carrara, Italy. The architectural design style of custom stone fireplaces like this is 19th century Italianate; the fireplace pictured is currently located in Redlands, CA. The Compania Fireplace Mantel is constructed of Iberia black marble, a stunning stone that originates from Spain. 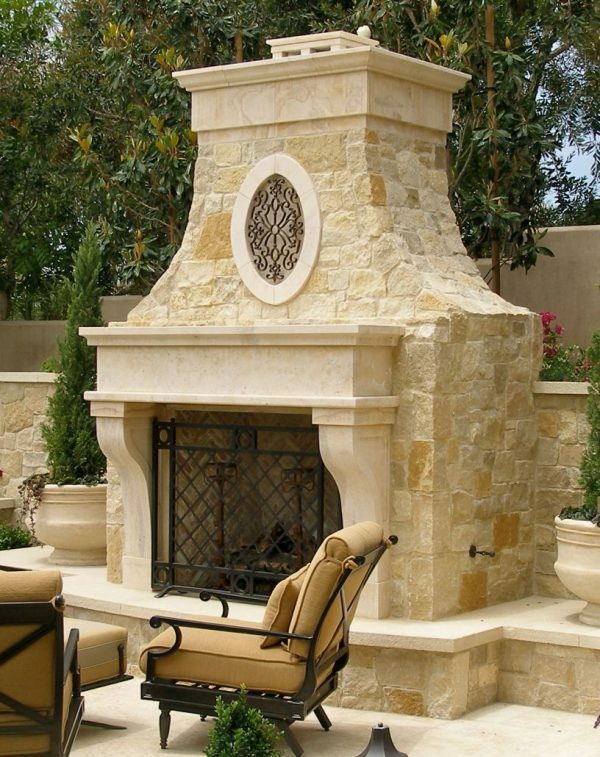 This fireplace is a gorgeous representation of stone fireplace mantels of the Roman Italianate style, and is located in Newport Coast, CA. 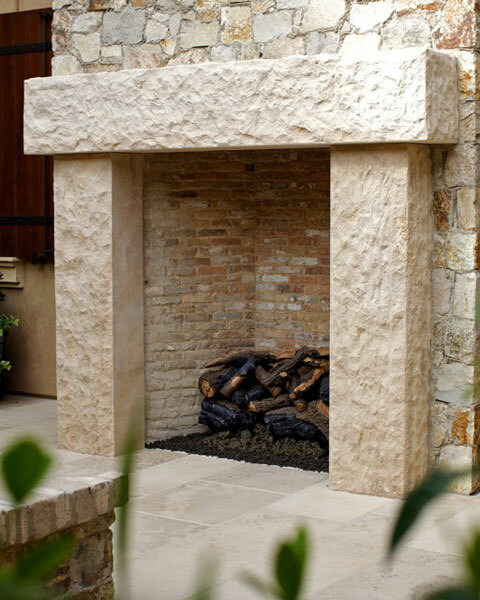 The Henley Mantel is a beautiful specimen of limestone fireplaces that is created from Crema limestone. 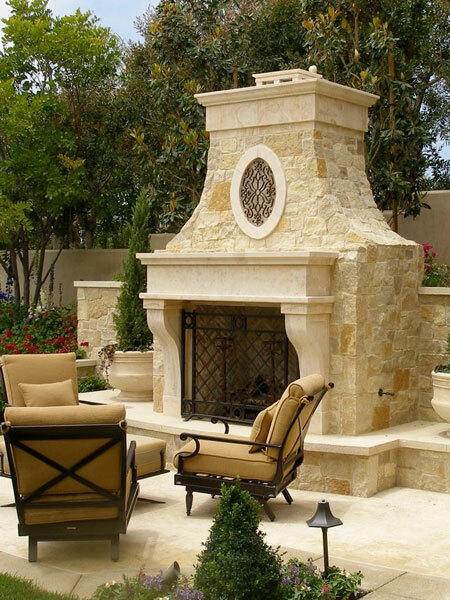 This type of stone originates from Yucatan, Mexico, and displays the exceptional English Italianate design style. This particular Henley Mantel fireplace is in Winter Park, FL. The Gothic Mantelpiece is a classic, stunning example made from Mocha Fatima limestone. Originally found in Portugal, this style is representative of the Gothic Revival design. The piece that is pictured is located in Palm Beach, Florida. The Isquia Mantel is crafted from Ibiza marble, which can be found in the beautiful country of Turkey. This piece is a premium example of contemporary design styling, and is currently located in Newport Beach, CA. BT Architectural Stone would be delighted to bring your own fireplace concept to life, and we also welcome you to explore our library of designs. Our experts will work with you to sculpt a unique fireplace mantel that is perfect for your home or business. Contact us today. Whether you’re having a new home custom built or you’re looking to remodel, you have a lot of decisions to make. And some of the most important choices will come when you are considering fireplace mantels. Sure choosing your fireplace surround may seem straightforward enough, but consider the following questions. 1. Do you want to customize? First and foremost, you need to decide if you want a fireplace mantel like the neighbor down the street or if you want something customized to your own specifications. Obviously those looking to remodel or customize their homes would be wise to have their fireplace mantels composed to match their space. When you answer these questions, the correct decision is pretty obvious. 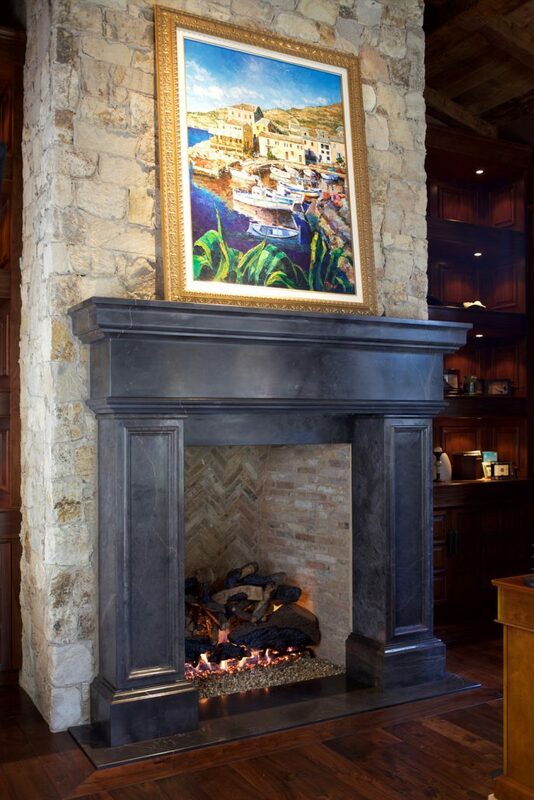 Choose limestone fireplaces for one of a kind, durable, and safe fireplace mantels. 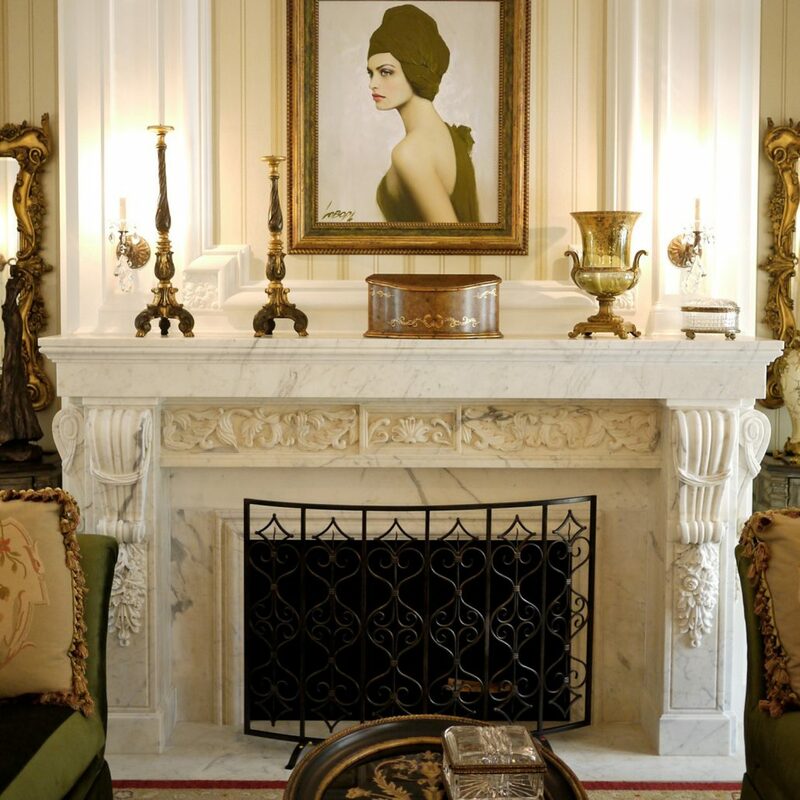 Why Choose Marble Fireplace Mantels? What is the focal point of your living room? If you’re like most Americans, it’s most likely your television. And not that there’s anything wrong with that, but imagine if you changed that. Imagine for a moment that instead of centering your gathering room on a television that cuts conversation and sends everyone into their own trance—instead of that you decided to turn the focus on something that brings warmth, comfort, and even romance. That’s exactly what you can do with marble fireplace mantels. Most homes come equipped with fireplaces. These days it’s pretty much standard. But often they are cookie cutter fireplaces that, aesthetically speaking, leave much to be desired. This wasn’t so in the old days. In fact, traditionally the fireplace is the signature statement of the home. So if that is the case—what is your saying about your house? When you go with marble fireplace mantels, you can instantly take the quality of your home up five notches with a truly unique piece. So make a statement and contact Barbara Tattersfield Design, Inc. now! https://btarchstone.com/wp-content/uploads/2011/10/4carve.jpg 1125 1500 admin_btarch https://btarchstone.com/wp-content/uploads/2016/05/bt-architectural-stone.png admin_btarch2012-02-16 12:00:102016-08-04 16:21:33Why Choose Marble Fireplace Mantels? As Spring and Summer approaches, homeowners naturally start to think about spending more time outdoors. There has been a trend over the last few years to create outdoor living spaces that are specifically designed to entertaining guests and family…. not just as a means for throwing the occasional barbeque. Barbara Tattersfield from Barbara Tattersfield Design, lead designer of the renowned architectural stonework firm in West Palm Beach, has noticed a significant trend with clients designing or remodeling their patios, loggias, terraces and poolsides to better accommodate the company they love to keep. Through international travel, upper echelon homeowner’s have become culturally savy and more refined in their preferences to incorporate natural stone as a means of function and design. Architects and landscape architects alike are further developing available square footage to enhance exterior lounges and outdoor kitchen areas which call out for appointments in natural stone. These outdoor living spaces have furthermore migrated from simple patios to principal seating areas with distinctive stone features. Garden settings are becoming more defined by integrating stone planters and carved benches, ravishing fountains and period urns. 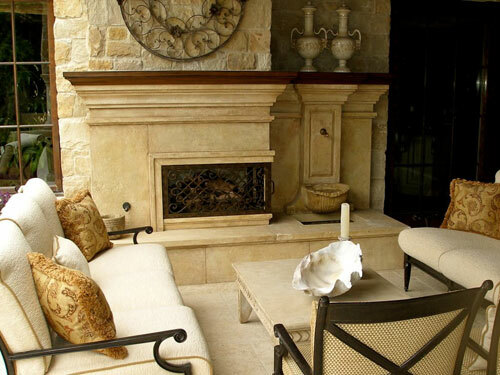 Fully functioning limestone fireplace mantels have also become more widespread within these custom home projects. Barbara Tattersfield Design and Pietra del Mar have been able to help clients bring these living spaces to fruition with the use of custom designed architectural stone. Thanks to its versatility to withstand all types of weather, natural stone is a great high-end option for your outdoor living space. The different color and texture options available allow for a seamless transition from your home to the outdoors. Outdoor fireplace mantels are a nice way to extend the enjoyment of outdoor living well into the evening while creating a cozy conversation area for family and friends to gather around. There is a warm and romantic ambiance that surrounds a fireplace, inviting guests to sit, relax, converse and simply enjoy. An outdoor fountain will bring relaxation, beauty and tranquility to your environment. Architectural accents such as urns, columns and statuary can provide an element of elegance to your surroundings. Planters and troughs are a convenient way to add greenery and lushness to your stone surroundings. Have Barbara Tattersfield Design and Pietra del Mar help you design the ultimate outdoor space for your home.